Inform Starfleet Command… | Spaceship! Spaceship! Spaceship! I like Star Trek. There, I said it. And since I grew up with Jean Luc Picard and the crew of the USS Enterprise D I will always have a place in my heart for the starships of the 24th century (even if JJ Abrams kind of made them not exist). That’s a long winded way of saying this picture of spaceships from Star Trek: First Contact is awesome. 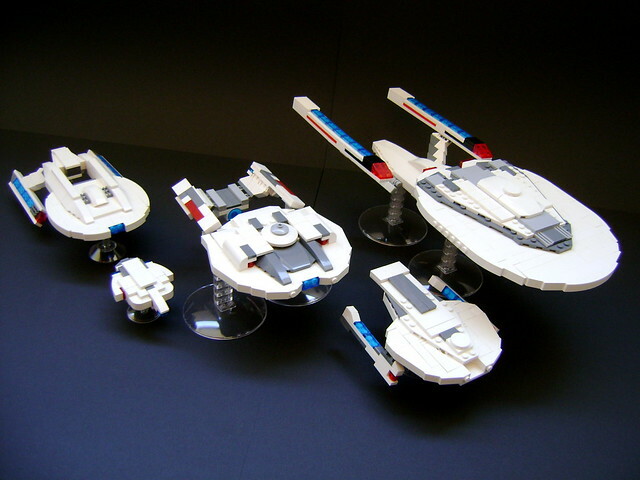 This entry was tagged MOC, star trek. Bookmark the permalink.